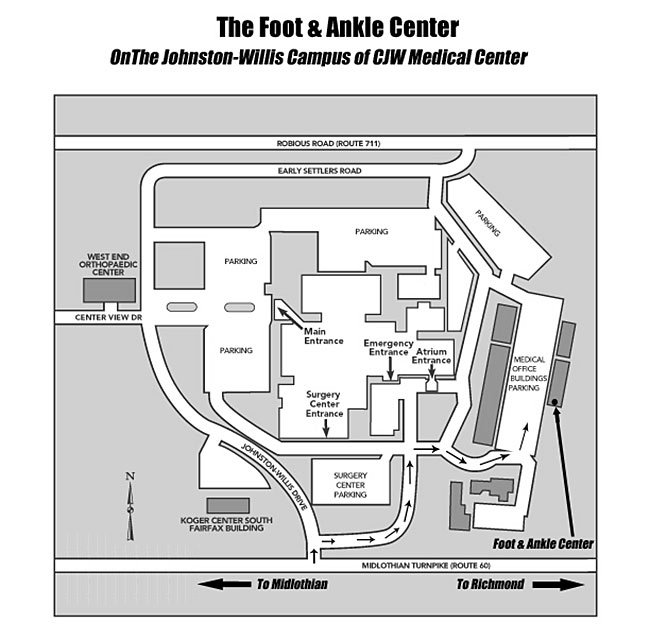 The Foot & Ankle Center is conveniently located on the campus of Johnston-Willis Hospital, in the single-story Medical II Building on the far east side of the hospital's parking lot. We have plenty of free parking, just steps from our entrance. Please see the Johnston-Willis campus map below.